If you are a consumer, we are here to answer any questions and can refer you to a local installer in your area. If you are a professional contractor in the middle of an installation, we are here to support you. If you are a wholesaler, we are here to make it easier for you to stock and promote our products. 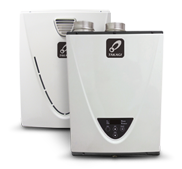 We are one of the few tankless water heater companies that have fully-staffed customer service and technical departments to better serve our customers. Contact us right now (888.882.5244) and we’ll welcome the opportunity to serve you for a lifetime. Takagi has teamed up with the GreenSky® program, the leader in home improvement financing. The GreenSky® program offers a variety of point-of-sale credit products specifically designed to give you a competitive advantage, while giving your customers greater spending power to realize their home improvement dreams.